The family of Chase credit cards are carefully designed to meet the needs of most anyone. From the Chase Freedom to the Chase Sapphire to the Chase Slate, there are plenty of perks – and plenty of differences among the three credit cards, too. Below, we we review three of its most popular offerings. The name implies a certain freedom for these card holders and for good reason – there are more than a few ways to amp up your cash back opportunities. Everything you buy earns 1% cash back when you use your Chase Freedom. Then, with the rotating bonus categories, there are opportunities year round to earn an additional 5% cash back. Shopping online with Chase partners only adds to the cash back you’re already earning. Plus, there’s no annual fee. Right now, there’s a 15 month 0% intro APR rate that’s good for both balance transfers and purchases. Sign up soon and you’ll earn a bonus $100 cash back after you spend $500 in your first three months. Keep in mind, the $500 is for purchases only – balance transfers aren’t applicable towards the 90 day $500 spent. Your rewards never expire, either. If you travel a lot, the Chase Sapphire Preferred card might be the right choice for you. We like this card because of the many opportunities to earn travel rewards, including a bonus 40,000 point after spending $3,000 during your first three months. This equates to $500 in travel rewards. Also, you can maximize your points earnings when you use your Chase Sapphire on travel and restaurants. All your other purchases earn you 1 point. Enjoy 20% savings for car rentals, airfare and hotels when you choose to coordinate through the Chase Ultimate Rewards program. Your annual fee of $95 is waived the first year, there are no foreign transaction fees and you’ll earn 7% every year on all your new points – even those previously redeemed! Have good credit? The Chase Slate Visa is a great choice. The benefits make those efforts of keeping higher credit scores well worth it, too. For those looking for a balance transfer card, this is one definitely worth your consideration. There’s a 15 month 0% APR intro rate for both transfers and new purchases. On top of this, you’ll enjoy the absence of an annual fee, low APR rates after the intro period expires and customer service that’s ranked as one of the best in the credit card industry. Another great feature associated with Chase Slate is the Slate Blueprint Program. This has really become a hallmark of several Chase programs. It’s designed to assist consumers as they plot their financial futures. It’s been a big success and the company continues to improve as current economic times dictate. Even if your credit is less than ideal, this remains a solid choice as there are programs designed by Chase that are suited for those looking to strengthen their credit scores. Finally, we take a look at the Chase Ink. For some reason, consumers sometimes overlook this exceptional credit card offer in lieu of other Chase products, such as the Chase Sapphire. This really is a strong choice, especially for small business owners. Earn 25,000 points after your first purchase and then another 25,000 bonus points if you spend $10,000 during the first three months. This equates to $500 in rewards or you can use it on airfare – it equates to just more than $600 in travel points. Use the Ultimate Rewards program to save even more. Keep in mind this is a charge card, so the balance must be paid in full each month. The benefit of that, though, is your company’s not paying any kind of interest charge. You can request as many employee cards as you need at no additional cost and the $95 annual fee is waived the first year. Clearly, there are many strong choices within the Chase family of credit cards. Finding one that meets your needs is easy, especially when you compare the offers with the benefits and fee schedules. 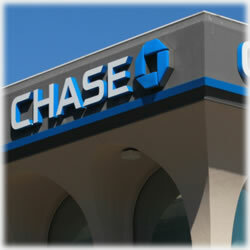 Chase has worked to ensure it has a product offering for most any consumer. For those who choose the bank, their loyalty is rewarded in more than a few ways. As always, we have our own disclaimers, including the importance of carefully reviewing every credit card offer before signing up. Not doing so could jeopardize your credit history and leave you with a financial tool that you never use. We always encourage consumers review the fee schedules, repayment terms and repercussions, specifically rate changes, that occur from late payments and other situations. With so many credit card offers and specific dynamics, it’s important go approach it with all the information so that you’re making the best choices for your business and or your family.